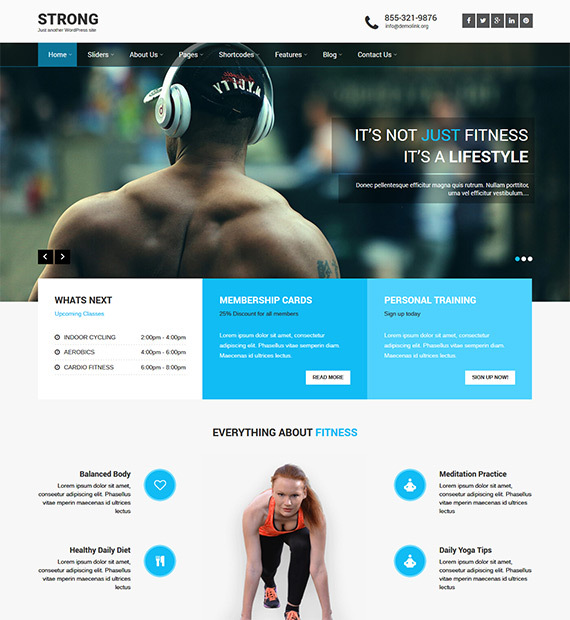 Looking for a WordPress theme to go with your fitness related website and blogs? Well, Strong is a responsive and multipurpose theme that is suitable mostly for gym, fitness, personal trainer, studio, yoga, spa, health, workout related websites. You can even use it for small and local business sites, it is entirely up to you! Brought to you by the SKTThemes, this theme is one that will certainly leave a great impression on all of your users!